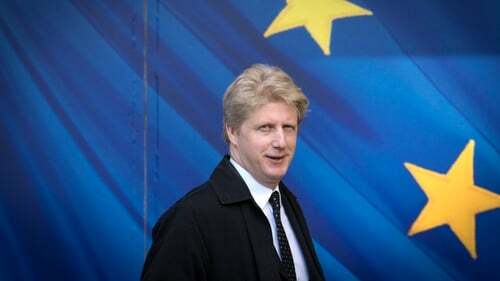 Jo Johnson has resigned from Theresa May's government in protest at her Brexit plan, warning the UK faced a choice between "vassalage" under her proposed deal or the "chaos" of crashing out of the EU. Mr Johnson quit as transport minister and minister for London in order to vote against the Brexit deal whenever it comes before the UK parliament and called for the public to be given a second referendum. The former foreign secretary quit in July in protest at Mrs May's handling of Brexit. In a blog explaining his decision, Mr Johnson said: "It has become increasingly clear to me that the withdrawal agreement, which is being finalised in Brussels and Whitehall even as I write, will be a terrible mistake. "Indeed, the choice being presented to the British people is no choice at all. "The first option is the one the government is proposing: an agreement that will leave our country economically weakened, with no say in the EU rules it must follow and years of uncertainty for business. "The second option is a no-deal Brexit that I know as a transport minister will inflict untold damage on our nation. "To present the nation with a choice between two deeply unattractive outcomes, vassalage and chaos, is a failure of British statecraft on a scale unseen since the Suez crisis." He added: "Given that the reality of Brexit has turned out to be so far from what was once promised, the democratic thing to do is to give the public the final say." Boris Johnson backed his brother's decision, saying: "We may not have agreed about Brexit but we are united in dismay at the intellectually and politically indefensible of the UK position." A Downing Street spokesman said: "The referendum in 2016 was the biggest democratic exercise in this country's history. We will not under any circumstances have a second referendum." The spokesman added that "the Prime Minister thanks Jo Johnson for his work in Government."